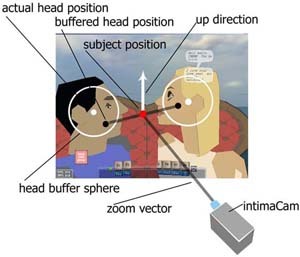 Researchers at the Max Planck Institute found that “…virtual communication usually lacks the body gestures so common in face-to-face interactions”. 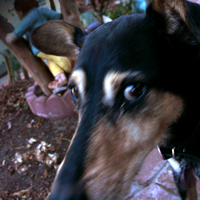 Our beloved dog Higgs died a few month ago. Higgs was a very special dog; full of life, full of love. Higgs and I had established an intimate body language connection for over ten years. He changed my brain. My smiles were his tail wags; his tail wags were my smiles. Because of neuroplasticity, the ability for our brains to adapt and adjust, we were able to fuse semiotically across species lines. This communication across species lines is analogous to people and software interpreting signals across the internet. We have invented new forms of punctuation to make up for a lack of physical expression in emails and text chats. I would say the same is true for 3D games and virtual worlds. But avatars, no matter how awesome-looking, are terribly clunky as instruments for realtime expression. 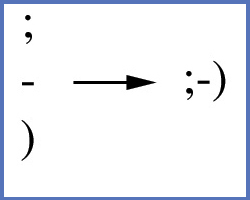 Meanwhile, new forms of punctuation have been invented: small, packaged symbols. They are quick to create, and they travel efficiently across the internet. Smileys and emoticons have more currency and emotional leverage than avatars, because they live in typographical soil: an ecosystem that is still much more established and pervasive than virtual worlds. Perhaps text will continue to become more electric, dynamic, intelligent, and integrated with graphical interfaces, such that smileys will evolve into avatars. The internet is accelerating our posthuman evolution. We will come to have a deeper understanding of our animal cousins – because the primal affordances of the biosphere will be better-understood. Wha? you might say. Jaron Lanier has already been talking about this kind of stuff for a long time – this idea that (with virtual reality) we will be able to “become” lobsters or snakes or cloud-sized creatures. 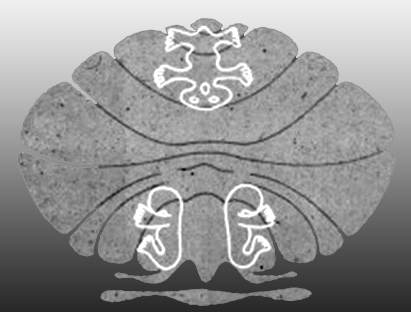 I mention Jaron in a previous post, and the ways in which our bodymaps adjust to posthuman communication. It’s not just about imagination: it’s about communicating and having a form of body language that is compatible with the internet. More and more of our communication is migrating to the internet. And since living languages evolve (including body languages) the new ecology of the internet will fertilize new forms of gesture, sound, moving text, and other dynamical forms. What does this have to do with tails and brains? Me and Higgs had established a body language bond. 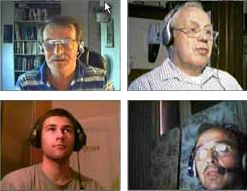 New kinds of body language bonds are emerging as we interact through the internet. Our brains are adapting. 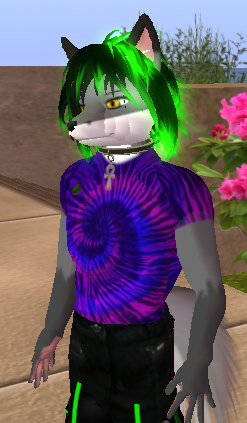 Micha Cardenas became a Dragon in Second Life for 365 hours straight. What happened to her brain? I can imagine that people who spend large portions of their lives as Furries with animated tails have dreams of expressing with their tails and ears, like the Na’vi. These ideas are covered more thoroughly in The Tail Wagging the Brain. Researchers from Aberdeen University and the Polytechnic University of Catalonia found that dolphins use discrete units of body language as they swim together near the surface of water. They observed efficiency in these signals, similar to what occurs in frequently-used words in human verbal language. As human natural language goes online, and as our body language gets processed, data-compressed, and alphabetized for efficient traversal over the internet, we may start to see more patterns of our embodied language that resemble those created by dolphins, and many other social species besides. The background communicative buzz of the biosphere may start to make more sense in the process of whittling our own communicative energy down to its essential features, and being able to analyze it digitally. With a universal body language alphabet, we might someday be able to animate our skin like cephalopods, or speak “dolphin”, using our tails, as we lope across the virtual waves.